I am a firm believer in the steps of positive discipline as a framework for effectively managing most discipline exchanges. An active step is offering your child choices about how, when or where they can do the behavior you want them to do. If you want them to put on a coat you might offer, “the red or the blue.” If you want them to start homework you might offer, “start with reading or math,” or, “work at the kitchen table or your bedroom desk.” The goal is to gain the behavior by offering your child decision making power. The child buys into the behavior by making a choice. Choices offer a more flexible step than consequences, and should be used in rotation with challenges and contribution first for most behaviors. It’s also good practice to offer choices occasionally outside of discipline moments. It’s nice to give even young children choices about what to eat for breakfast, what to wear or how to spend their time on a Saturday afternoon. Here’s a full post on the use of choices in discipline. I’ve met parents who fall at either far end of the continuum on their use of choices. There are parents who feel children shouldn’t be given choices. That all things go easier when children are told what to do, and discipline provides the follow up. That offering choices gives too much power and creates a struggle where there wasn’t one previously. There are also parents who give their children too many choices, choices for everything all day. When these parents offer a choice and the child says, “no,” the parent may offer another choice and then another until the child agrees. There is a good balance between these two extremes. Choices tend to gain compliance, too many choices and behavior runs amok. Choices too often – When children have choices for absolutely everything, it may be a struggle for them when choices aren’t available. The idea is to use choices, challenges or contribution before consequence language for most discipline exchanges. It’s also great to give choices at other times during the day. 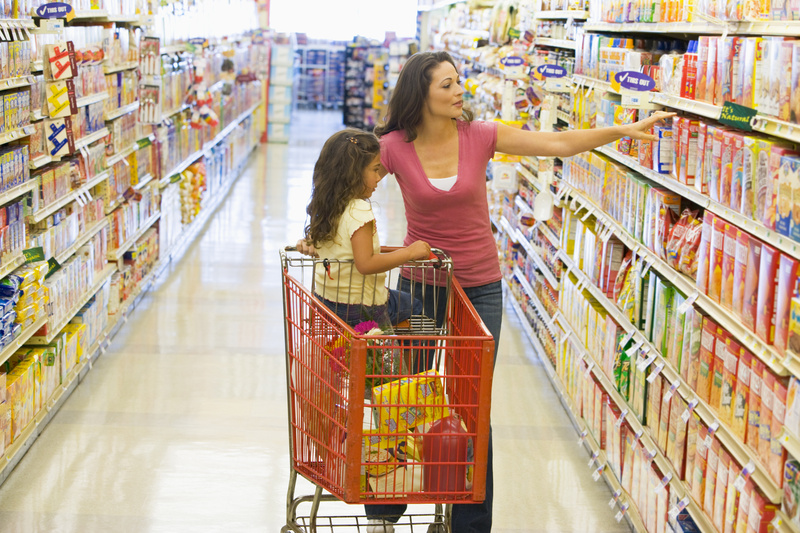 It becomes too much when the child is frustrated if there aren’t choices available. The goal is for children to be flexible to this and equally follow requests or directions when there aren’t choices available. Too many choices – Giving a three-year-old a choice of eight things is likely overwhelming and can lead to frustration. The idea is to start with a choice of two and go wider as they ask for a third choice. Giving choice, after choice because the child doesn’t like the options – You offer a choice of two things and the child says, “no,” so you offer a choice of two other things and then another. This can quickly become a pattern that repeats often and adds frustration to the system. The answer is to stick with the first offered choices and help children to choose. If you end up choosing – If the child doesn’t choose, you can choose for them, but you have to let them know that’s coming. You might say, “this is taking too long, you can choose, or I will choose for you.” If you then end up choosing, it is good to stick with the choice you made. Sticking with it encourages children to choose when you say, “you can choose, or I will choose for you,” moving forward. 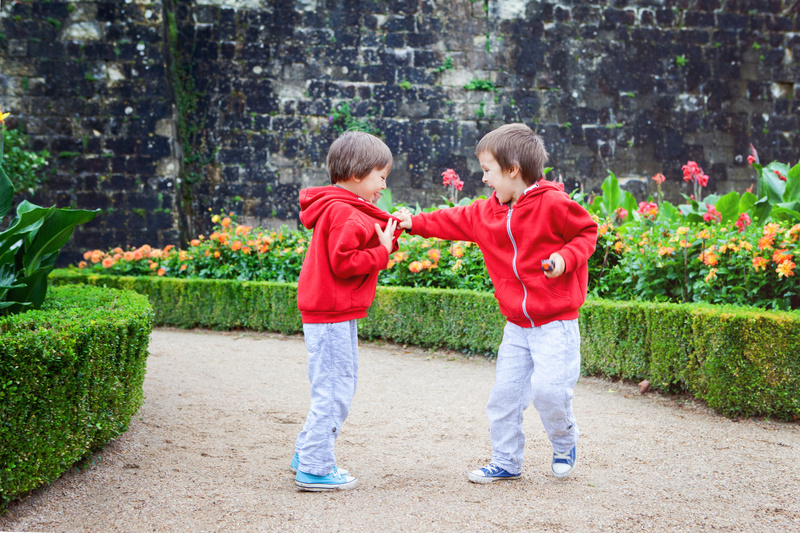 Continually changing their choices – Let’s say you offer the choice of a red or blue coat, and the child chooses red. The coat is on, you are leaving the house, and the child yells for blue. Once the follow through has happened, as best you can, it is good to stick with the first choice. This helps children to choose well the first time, rather than going back and forth as a game. Choices are meant to make a discipline exchange easier. If choices are adding to the difficulty, it’s good to step back and think about how the choices are off track. I am happy to answer questions about this or any other discipline questions in the comments below. In my workshops, I teach the steps of positive discipline. This language includes the flexible use of I messages, empathy, positive intent, choices and consequences to best manage behaviors. This framework is meant to guide parents through addressing emotions while curbing behaviors. If you want to learn more about these steps, you can search “steps” or “discipline” on our blog. As much as this is an effective approach, there are several things parents can do to avoid the discipline process. This is especially true for repeat behaviors as parents should be better able to see these coming. 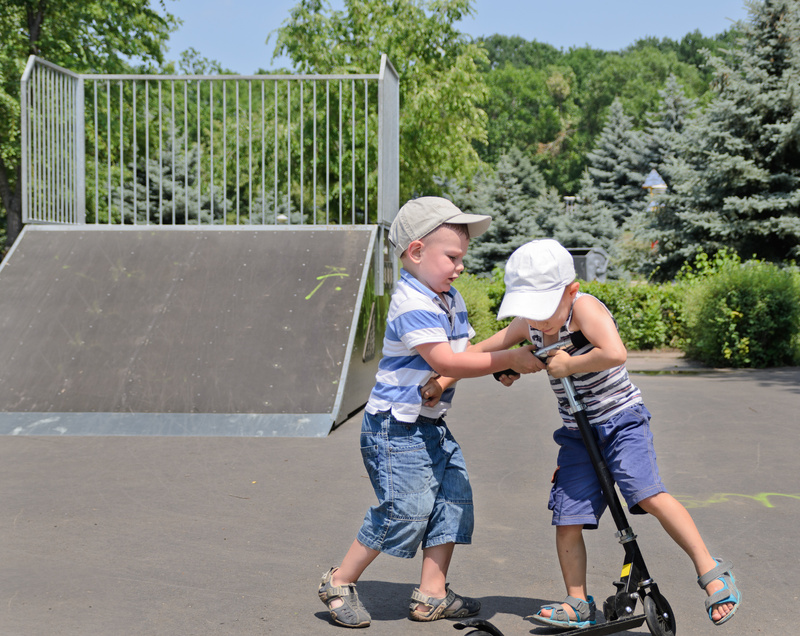 Distraction – Two children start to argue over a shovel in the sandbox. If you can say, “hey, look! A puppy!” and it’s over, I think that’s fine. There will be so may times when this doesn’t work, and you’ll need the discipline, but when it does that’s fine. Humor – Say something funny, and it’s over? Okay. Logistics – A mom in one of my workshops said, “it is so difficult every morning to get the kids to stop playing and go down to the foyer to get their shoes on. They can go right back and play, I just need their shoes on.” Solving this with logistics would be moving the shoes to where the kids are playing. If a well placed baby gate solves your situation, there’s no need to work through the steps repeatedly. Schedules – Often, a discipline exchange is sparked by a transition or by having to little time to complete too much activity. For transitions, be sure to give consistent warnings and give children choices and jobs while moving through. For schedules, be sure to plan for the time and build in a little extra for children. Routines – If your discipline happens during specific times of the day like getting kids ready and out of the house in the morning or getting them in pajamas and ready for bed, routines can be a big part of the answer. Decide the time you need to be done, make a list of everything that needs to be done and work backwards. It can be helpful to make a chart with your children by taking pictures of them moving through the routine or drawing pictures of each step. The more consistently you follow the routine the more helpful it tends to be. This seems like a small tip, but it can have a big impact. So often when I hear parents correcting their child’s unpleasant tone, they say, “stop whining,” or, “no whining,” or, “I can’t hear that whiney voice!” If anything, this reminds the child to whine. The golden rule here is, ‘what you focus on, you get more of.’ Focus your language on whining and that whiney voice, and you’ll get more whining.